Amazon’s connected tokens of capitalism have been outlawed in Germany. When Amazon started selling its Dash buttons in 2015, it seemed like an April Fools’ joke—an empire built on making everything stupidly easy to purchase somehow made it even easier and more mindless for users to get the dopamine rush of consumerism and order something with a literal touch of a button. At first the wifi-connected buttons enabled users to quickly buy basic home goods and groceries—like detergent, paper towels, macaroni and cheese, and bottled water. 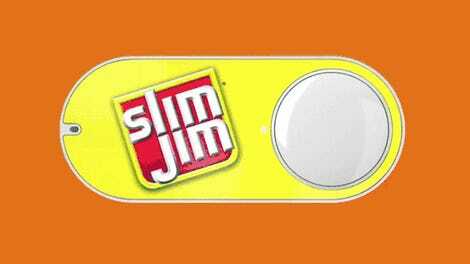 But Amazon has since added dozens more, from Slim Jims to Red Bull to Calvin Kline underwear. A German consumer advocacy group, Verbraucherzentrale NRW, believes the buttons have made it too easy to buy Amazon products, and brought a case against Amazon to the German court. The watchdog organization complained that Amazon’s terms enable the company to switch out an ordered product with something else, and the buttons break laws protecting shoppers from buying things they are not fully informed about, according to Reuters. “We are always open to innovation. But if innovation means that the consumer is put at a disadvantage and price comparisons are made difficult then we fight that,” Wolfgang Schuldzinski, leader of Verbraucherzentrale NRW, said to in a public statement. 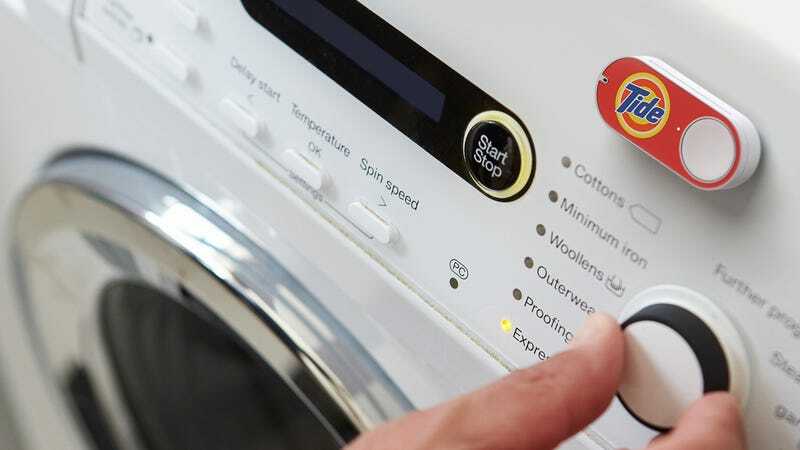 The Munich court has sided with the organization, and ruled that the Dash buttons break consumer protection rules. The Verbraucherzentrale NRW statement suggests Amazon can’t appeal the decision. But an Amazon spokesperson told Gizmodo that the company believes the button and its app don’t violate German law, and Amazon is going to appeal. “The decision is not only against innovation, it also prevents customers from making an informed choice for themselves about whether a service like Dash Button is a convenient way for them to shop,” the spokesperson said.